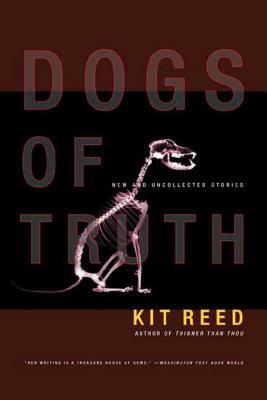 The Dogs of Truth contains 17 new or previously uncollected short stories. Included are "High Rise High," about a student revolt at the ultimate "secure" high school; "Focus Group," where a star-struck fan dictates the fate of soap opera characters through a biochip implant; "Escape from Shark Island," which looks at an extreme version of today's trendy "family bed;" and "Precautions," where germ-phobia reigns supreme. The new stories tell of the "Grand Opening" of the world's largest mega-mall, study the relationship of a writer and his muse in "Getting It Back," and, in "The Shop of Little Horrors," take a dark look at the child-free lifestyle.